Tickets for the XDL East Coast Eliminator are sold as part of the GT LIVE East weekend and include all GT LIVE attractions. The three-day weekend pass is $40. Individual days are $20. Tickets can be purchased through e-tix. The XDL U.S. 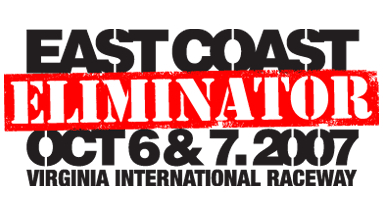 Stunt Riding Championship is proud to announce the XDL East Coast Eliminator, our right coast showdown. This competition runs as part of GT LIVE East, the premier, interactive motor sports festival. In addition to XDL, GT LIVE features the Grand Am Koni Challenge, Falken Drift Demos, Redline Time Attack, Falken Drift Experience, USDrift Shootout, Rally-X, Tarzan's Lap Battle, GT Sim Race and VIR Karting Zone. Once again, 10 slots for the XDL Finals are up for grabs and we'll be running our new competition line up that includes: Target Stoppie, Freestyle Burnout, Sickest Trick, Circle Challenge and Last Man Standing. For details regarding booth space, signage, sponsorships and other marketing opportunities at the XDL U.S. Open, please contact randy@xdlshow.com.